¶ 1 Leave a comment on paragraph 1 0 Elected Section officers for 2002–2004 were as follows: EE, Lynnette Olson, chair-elect; EM, Farrell Webb, chair-elect; FH, Barbara Mandleco, chair-elect; FS, Laura Smart, chair; and FT, Volker Thomas, chair-elect. ¶ 2 Leave a comment on paragraph 2 0 An Annie E. Casey Foundation Grant of $75,000 was given to NCFR for the purpose of developing teams of researchers and practitioners to provide a special issue of Family Relations and fact sheets on issues of families and children of concern. ¶ 3 Leave a comment on paragraph 3 0 The Third Annual Public Policy Conference took place April 18–19, 2002, in Washington, DC. The theme was “Mid-Term Progress: Economic Stability for Families.” Over 76 attendees participated in dialogue regarding the Temporary Assistance to Needy Families (TANF) reauthorization (Welfare Reform Bill) and National Institutes of Health research funding priorities relating to rural families. ¶ 4 Leave a comment on paragraph 4 0 Grant Collins, chief of staff to Wade Horn, Assistant Secretary for Children and Families, was the keynote speaker. Rep. Patsy Mink (D-HI) presented her TANF reauthorization bill to the conference attendees. It was based on educational opportunities and strengthening families, in opposition to other House versions that were focused on jobs. ¶ 5 Leave a comment on paragraph 5 0 Rep. Sheila Jackson Lee (D-TX) was awarded the Congressional Service to Families Award by NCFR. Congressional Hill visits were a highlight of the conference. 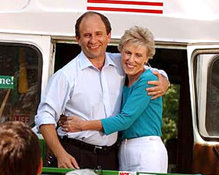 ¶ 7 Leave a comment on paragraph 7 0 In October 2002, three weeks before the national elections, Sen. Paul Wellstone, his wife, Sheila, and daughter, Marcia, were tragically killed in a plane crash. 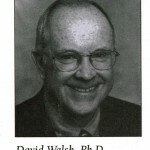 The Senator had given the opening plenary address of the 2000 NCFR conference in Minneapolis, and was the first recipient of NCFR’s Congressional Service to Families Award. Sheila had worked with NCFR on family violence issues. Both were dedicated supporters of family policy. ¶ 8 Leave a comment on paragraph 8 0 As a result of the membership survey, the CFLE program began plans for a written examination to replace the portfolio review process. However, the plan included working with four stakeholders before materializing an exam: (1) NCFR committees and staff, (2) NCFR Affiliate Councils, (3) NCFR-approved academic programs, and (4) certified family life educators. Thirty-two percent of the survey responders were CFLEs, another 18% indicated they intended to apply for certification, and 75% felt that the program was consistent with NCFR’s mission. Fifteen percent of all new NCFR members came through the CFLE program. A new “hiring” brochure was circulated to various businesses. The Family Life Education Curriculum Guidelines were revised and given a new title: Family Life Education: Integrating Theory and Practice. Also, Tools for Ethical Thinking and Practice, a training manual for Head Start workers, was published. ¶ 9 Leave a comment on paragraph 9 0 The National Institute on Media and the Family, directed by David Walsh, received special recognition at the NCFR Media Awards Competition.